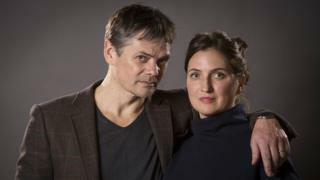 The Archers: What effect has the Rob and Helen story had? The Archers storyline on domestic abuse has reached a climax, with Helen stabbing husband Rob. What impact has the controversial plotline had in the real world? "You're nothing without me Helen. Nothing." Rob Titchener snarled angrily at his pregnant wife in the kitchen of Blossom Hill Cottage. Helen had just told him she was leaving him. Rob forced a knife into Helen's hand, and then goaded her to stab herself. "It's your choice, but it's the only way I am ever letting you go." Then followed sounds of a violent scuffle - and the clank of a blade falling to the floor. Rob had been stabbed. Rob's long-term emotional abuse of Helen has been slowly drip fed to listeners of The Archers in a story "arc" of two-and-a-half years. Avoiding the standard depiction of abuse as daily physical violence, the drama centred on his systematic undermining of her personality. It is one of the BBC Radio 4 show's most controversial storylines, but how much impact has it had on how the public understand abusive relationships? The Rob and Helen effect? Reaction was divided on social media. "What phenomenal writing and acting from #thearchers tonight. Genuinely feel quite traumatised", tweeted Jess. "Haven't been able to get this from my mind, what if they don't believe her?!! I'll stand up & vouch for you #helenarcher", said Auroras Dreams. However, others complained about the plot. "Feel that #thearchers went too far. A subtle, long-term storyline boiled over into something you might see on EastEnders. Melodrama much?" asked Sarah Kershaw. However, charities praised the handling of the difficult story and said it had woken the country up to the difficult issue of domestic abuse. "From February last year to February this year we saw a 20% increase in calls to the National Domestic Abuse Helpline, which we think is in part down to the 'Archers' effect'," says Polly Neate, chief executive of the charity Women's Aid. Sandra Horley - chief executive of the charity Refuge - agrees. "Women listening may realise they are not alone. I don't think it's too much to say that this storyline has saved lives as women reach out and seek help." Both Women's Aid and Refuge advised the BBC during the storyline. One Archers' listener, Paul Trueman, set up a JustGiving page - The Helen Titchener (nee Archer) Rescue Fund - to raise money for Refuge. By Tuesday morning more than £98,000 had been donated. "Because for every fictional Helen, there are real ones," the fundraising page states. Many donors have commented about their own past experiences. One reads: "I was a victim of domestic violence 33 years ago. I can only say that it is [as] if the scriptwriter witnessed those scenes in my life all those years ago. My son and I survived and life became joyful again." In Sunday night's dramatic episode, Helen planned to tell Rob she was leaving him over an evening meal. But a moment like that - at the point of separation - says Horley, is when abuse victims can be most at risk. "76% of domestic homicides occur during separation or up to six months afterwards - and Sunday's episode of The Archers demonstrated this. "When Helen told Rob she was leaving, his aggression escalated and she clearly felt that both she and her son were in danger." During the long period of the storyline, as Rob's grip tightened over his wife in fictional Borsetshire, the law in England and Wales was actually changed to support women like Helen. A new offence of "controlling or coercive behaviour in intimate or familial relationships" was introduced. It carries a maximum sentence of five years' imprisonment, a fine or both. "Many people may ask 'Why did she stay? '," says Horley, "but what people don't understand is the cumulative effect of daily abuse." To most residents in fictional Ambridge, Rob was a charmer. Unreconstructed maybe, but to the outside world he was a doting husband - protective and supportive of his wife, her young son Henry and the couple's unborn child. Only a few had seen his mask slip. "The Archers' storyline showed the feelings of hopelessness and fear - and how Rob distorted reality," says Horley. "Abusers are often very charming and plausible to others. They are also charming at the beginning to their partner - until she is committed to him. "Only over time do cracks appear. It's a gradual process of undermining and systematically isolating a victim." February 2014: Helen cooks a special meal for Rob. He refuses to eat it saying he doesn't like tuna. Christmas 2014: Helen buys a special dress for a party. Rob tells her she can't wear it because it's too revealing. He repeatedly tells her what to wear and how to do her hair, praising her as a "good girl" when she complies. August 2015: Rob and Helen are on a date night. Helen suggests moving to the bedroom but Rob says he doesn't want to wait. The morning after Rob is happy but Helen is not. Helen's brother notices a bruise on her arm. September 2015: Helen is now pregnant. Villagers notice she is acting strangely but put it down to pregnancy hormones. Rob, who knows of her history of anorexia, repeatedly tells her she is "blooming" and "filling out". He buys her clothes that are too large or too small. November 2015: Helen has a minor car accident. Rob says he is concerned and persuades Helen to stop driving. February 2016: Rob asks his mother to stay against Helen's wishes, saying she needs the help. Rob tells concerned villagers that Helen is struggling with her mental health. March 2016: Rob tells Helen's young son Henry he is going to send him to boarding school, but it is their secret. He tells Helen she threatened Henry while she was sleep-walking. As Helen's mental state gradually deteriorated, many Archers listeners found the abuse storyline very uncomfortable listening. And the violent scene on Sunday night brought claims from some on Twitter that the show had adopted "tawdry soap cliches", rather than its traditional fayre of bovine-related matters at Brookfield Farm and Lynda Snell's over-ambitious am-dram productions. But Polly Neate from Women's Aid disagrees with the "cliched" claim. "Some people have complained that the storyline wasn't realistic, but we know it was realistic and it is important to have this discussion. "It's good that the story has made people feel uncomfortable. It has disturbed people that domestic abuse could happen in a nice community - but it happens to women of all ages and backgrounds." And Archers editor, Sean O'Connor - who is leaving the show to become EastEnders' executive producer - said the programme team worked closely with charities and expert advisers to reflect the story accurately. "One of the great benefits of The Archers format is that we have been able to chart this story in real time, week after painful week," he wrote on his blog, "as the reality of Rob's abuse of Helen has become clear to the audience." At the end of Sunday night's Archers, listeners overheard a frantic, tearful admission from Helen during a phone conversation with her friend Kirsty. "I stabbed him... He made me choose. I had to make him stop. He's dead. I've killed him." Later it was revealed that Rob had survived the stabbing and Helen was arrested. Regardless of how the story plays out on air in the coming weeks, what happens to real women - the real Helens - in cases like these? "Women are often charged with murder, but there are various defences," says Refuge's Sandra Horley. "One is self-defence - if it can be argued she believed there was an immediate risk of serious bodily harm or death. If this defence is accepted she can walk free." But getting a jury to agree might prove difficult. "I know of lots of cases in the 1990s when self-defence wasn't used because juries weren't very sympathetic. They thought the abuse sufferer could have just walked out." Writing in the New Statesman, criminal barrister Olivia Potts suggests that if Helen had killed Rob, her best option would be to claim loss of control. She explains there would need to have been a "qualifying trigger" - a fear of serious violence against her or someone else, or circumstances of "an extremely grave character" which caused the defendant to have a justifiable sense of feeling wronged. But such a defence is complicated. "Helen would have to show on a balance of probabilities that, due to her treatment by Rob, she was not able to exercise the control that she otherwise would have done." Image caption "Blossom Hill Cottage"
Nancy Banks-Smith, writing in the Guardian, describes listening to Rob and Helen's story as two-and-a-half years of "slow thumbscrew torture". One barrister Nigel Pascoe, who happens to be an Archers' fan, tweeted: "I know we are not allowed to tout but I am more than prepared to represent Helen, along with most of the criminal bar..."
In The Archers on BBC Radio 4 Rob Titchener is played by Timothy Watson and Helen Titchener is played by Louiza Patikas. Helen and Rob: the story so far.